People who want a career in hospitality or hospitality management can choose from several Hospitality Degrees in Colorado. Colorado depends upon tourism to pay for much of its infrastructure. From bed-and-breakfasts to ski lodges and casinos, the Colorado hospitality industry is booming. There are entry-level positions available as restaurant or lodging employees and opportunities to manage or own businesses. Tourists often want reliable tour guides and information on recreation packages, too. Here is a list of schools that offer hospitality programs. CNN Money ranked Colorado Mountain College number 17 among 800 two-year colleges in the nation for student success in two-year-colleges. It ranks number one in Colorado for graduation and for transfer rates. Besides an associate degree, the college offers certificate programs in hospitality which can be completed in a year. Classes at the eleven college locations are small. There is also an online component. While the certificate programs can be earned online, the associate degree path is on campus. The College allows students to pay their tuition in monthly installments through the FACTS program. The resort management degree is earned on campus at Steamboat Springs. After completing the program, graduates may be eligible to receive the Educational Institute of American Hotel and Lodging Association’s Hospitality Management diploma. In addition, an agreement between Colorado Mountain College and Western State College allows associate degree holders to complete a bachelor’s degree. The two-year associate degree program begins with eighteen credits of general education classes such as algebra and English composition, introductory business classes and public speaking. Twenty-five credits are major subjects: Introduction to Hospitality, Housekeeping Management, Basic Hotel and Restaurant Accounting, Food, Beverage and Labor Cost Control and other core classes. There are also elective specialty classes and a work-experience program. The in-state tuition for those not residing in the service district is a little more than $1500 a semester. The Food Science and Human Nutrition program at Colorado State University works to promote health through diet and achieves that goal through education, research and service. There are two degree paths in the school, one of which is Hospitality Management. Department faculty is involved in research projects totaling six million dollars. The hospitality management program is nationally recognized and boasts excellent rates of placement for graduates. It gives students a foundation in both the food industry and in lodging. The hospitality management at CSU is the 2011 recipient of the CAFÉ/Kendall College Green Award for sustainability in hospitality education. The degree involves coursework from the food service classes of the Department of Food Science and Human Nutrition, from special courses in resort management and in business. It also entails taking liberal arts and science courses. Freshman classes delve into biology and anatomy, algebra, nutrition, sociology and psychology and some classes based in the major. By the senior year, the concentration of major-applicable courses is heavier. Students study subjects from alcohol management to accounting practices. Elective courses allow students to design their degrees to fit their interests. There are also practicum hours and internships that must be filled. CSU partners with a number of businesses to build as many opportunities for employment as possible. The on-campus tuition for a Colorado resident is $24,154 a nine-month term. The Applied science tack of associate degree programs is not meant to lead to a bachelor’s degree. Instead, it offers training to prepare students to gain employment at basic, or entry-level, positions or to improve the skills they already have in A two-year time span. The courses are aimed skilled or paraprofessional occupations. Still, some of the credits will transfer to a Bachelor’s degree path. Before entering the courses, students take an assessment exam. If they have acceptable scores in math and reading they may enter the program. The associate degree in hospitality at Front Range College is intended to allow students to get an entry-0level job after two years. They take liberal arts courses such as math and English composition along with classes in their major. Examples of the curriculum are: Food safety and Sanitation, Nutrition and an Internship class. They must also study basic accounting, computer skills and career mathematics. Students must choose two classes from a list of available courses that will define their majors. Students take an exam from the Education Foundation of the National Restaurant Foundation and, if they pass with 75 percent, receive the ServSafe©Certification. At the end of the coursework, all students take practicum classes where they work in actual businesses under the supervision of experienced personnel and their guidance counselor. The Hospitality College at Johnson and Wailes University is world renowned. It has the most comprehensive listing of courses in hospitality management. At the Hospitality College, students take courses in their majors even during the first term. The school incorporates a lot of hands-on learning in their food and beverage laboratories, classrooms and also in their planned events center. Students must complete an internship program as well. The opportunity exists to study abroad or in another city where a Johnson and Wailes campus is located, and the school makes extensive use of faculty mentors. The associate degree in hospitality offered by Johnson and Wailes is in culinary arts. Students get practical education in food preparation, cost control issues, sanitation and nutrition and diet. There are national and intra-campus competitions that students can enter to test their proficiency in this field. Students in the associate degree program must take liberal arts and sciences classes that pertain to culinary arts. At the end of the program students work at restaurants and food service organizations to get real-world experience. In addition to getting self-confidence and practicum time, this requisite allows students to make contacts in the career that will help them secure employment. The Bachelor’s degree program in hospitality teaches technical and management skills. Students take classes in creative problem solving and diplomacy as well as communication and composition. The emphasis of the program, although it is generalist-based, is tourism, but the courses apply to any branch of hospitality. The FAM program allows students to travel to another location, either domestic or international, researching, planning budgeting and implementing tasks of a tour guide. Some of the required courses are: Destination Geography, Statistical Marketing, Hospitality Human Resources and Accounting. Bachelor degree candidates study both macro and micro economics in their 191.5 credit hour requirements. In addition, students serve an internship under someone working professionally in the field of hospitality. Annual tuition and fees average $28, 239. The Metropolitan State University hospitality department is located in downtown Denver, at the hub of Denver’s hospitality industry. In Colorado, tourism is the second largest industry. The department seeks to teach the latest technology and skills to enable graduates to enter the hospitality industry. There is a great focus in customer service. Students can participate in several hospitality-related clubs and organizations represented on campus. The school has an online component as well as evening and weekend classes. New additions to the department are a culinary lab and a continuing education department. Students must select from concentrations in hotel management, restaurant management, tourism management or events management. The 120 credit hour Hotel Management concentration consists of general studies, core major studies, multicultural studies, electives and a practicum. Students must maintain a 2.5 grade average, have CPR/First Aid certification, verify 1200 clock hours of supervised experience in the HTE industry and review their career path through CAPP results with an advisor no later than their third semester of enrollment. In addition to foundational liberal arts classes, students in this degree program study human resource management and accounting, food science, hotel front office skills, organizational management and other industry-related courses. The senior experience credits are given in one of three areas: Hospitality Field Experience, Hospitality Senior Research or Managing a Destination. The Department of Hospitality Studies program covers aspects of the hospitality industry from hotel management and events planning to tourism. It is accredited by the American Culinary Federation. The hospitality program goal is to equip students to begin careers in the field. The two culinary arts programs train students for skilled positions in food service related jobs and in restaurant or lodging management The tourism and events planning tack leads to careers in the tourism field as well as lodging management. The Associate of Applied Degree is augmented by one of the three career paths: Concentration in Culinary Arts Production or Management, or Tourism, Conventions and Events. The 69.5 credit degree path includes meeting minimum requirements for reading, writing and computer skills as well as coursework in the program. There are 18 general education credits, 14.5 core subject credits, 37 credits in one of the career tacks and elective courses. Students in all management tacks learn basic business practice procedures like cost control as well as the skills needed for their career. The resident tuition for a fifteen-credit year is $7,623. The College of Natural and Health Sciences houses departments in the natural, mathematic, human and health sciences. It offers a bachelor’s degree in the hospitality/recreation concentration. The faculty members are nationally and internationally known for their expertise in their subjects. The University of Northern Colorado boasts state of the art laboratories and research facilities to meet the needs of students for experiential learning. The College of Natural and Health Sciences has successfully raise funds to open doors to research, and projects that benefit both the students and community. The Bachelor of Science degree is a four-year, 120 credit program. All faculty members have academic and experiential expertise in the field. Classes taken at the beginning of the program include several liberal arts courses as well as introductory classes into the major. Students take micro and macro economics, gerontology, fundamentals of entrepreneurship and other classes germane to the concentration. Throughout the degree path there are opportunities for students to volunteer. At the end of the degree program, a three credit practicum and a nine credit internship are required. Students must complete all courses with a minimum GPA of 2.0. Annual in-state tuition and fees are estimated at $18, 838 after the Colorado Opportunity Fund is applied. The goal of the Westwood hospitality program is to give students the skills and education they need for a career in hospitality management. Through Westwood financial assistance programs, 100 percent if Westwood students qualify for a scholarship or award. Classes can be taken on campus or online. 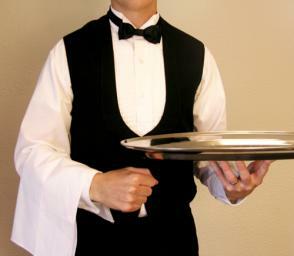 The hospitality department focuses on skills that make graduates employable such as food, hotel and conference services. Students participate in a capstone project to demonstrate their proficiency in their degree area. The coursework includes classes in supervising people from different cultural backgrounds and in leadership. The associate’s degree in hospitality is a 90 credit- hour program that takes 17 months to complete. There are 27 credits of general education and 40.5 credits of core material as well as other required classes. Students take classes in accounting, marketing and management as well as hospitality fundamentals. They are introduced to IT as it relates to spreadsheets and accounting. By the end of the program students will have a strong foundation in the basic operation of the hospitality industry. The goal of the associate degree in hospitality management is to enable students to get into the career in entry-level positions. The bachelor’s degree in Hospitality administration is a 34-month course. Students are required to take general courses in liberal arts and sciences as well as classes in their major, and electives. Examples of classes students in this degree path take during their first two terms are: Front Office management, Inventory and Planning Control, Marketing, Loss Prevention in Hospitality and Conference services. The program is 180 credits, and 14 terms. Tuition and fees for the degree are $77,772, or $5,598 tuition per term. The school estimates that the average net cost for one year (after grant or scholarship contribution) is $16,428. Whether you want an associate’s degree or a bachelor’s or master’s degree, you can find what you want among Hospitality Degrees in Colorado. From bustling, urban Denver restaurants and convention centers to luxurious mountain resorts, Colorado needs people with hospitality education to help manage its tourism industry.